As you all know that Eternal Web Pvt Ltd is an AWS consulting partner. It is a very interesting and exciting journey to venture into the ecosystem of AWS services and claim a name for oneself. It all started back in the spring of 2017 when one of our projects demanded high scalability. We are very good at developing custom scalable solutions and very pleased to admit it. At the very starting of that project, we had known that traditional hosting services wouldn’t be able to suffice the needs of the software that we were going to build. To meet requirement of our project we started a recruitment drive of AWS certified professionals, but it was unsuccessful as AWS is still in its infancy in India and there aren’t many qualified professionals in the field. Since we have been in the IT industry and the domain of custom software development for over 10 years, from our extensive IT experience and knowledge we knew that we have to adopt AWS and its various products to make sure our custom built software runs smoothly and the clients are happy. To help us realise this vision, the team at Eternal worked very hard. We cracked the first AWS certification and our journey started for a partnership with AWS. If you are reading this blog then it is very likely that you must be looking an AWS consulting partner in India, who can help you design, develop, market a custom software and manage your IT infrastructure at the same time so that you can focus on what is important for you: “Your Users”. – Storage: An Amazon cloud storage service that offers a reliable, scalable, and secure place for your data. Specifically S3, EFS, Glacier and Storage Gateway. 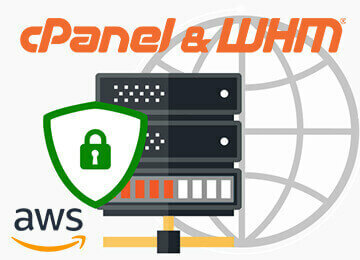 – DataBase: AWS offers a robust choice of database services to fit your application requirements. Specially RDS, DynamoDB, DynamoDB Accelerator (DAX), ElastiCache and Redshift. – Networking & Content Delivery: A collection of foundational Amazon Networking services like VPC, CloudFront, Direct Connect and Route 53. – Migration: An AWS service that allows you to migrate your apps, services, and databases to AWS. They can help you with Migration Hub, Application Discovery Service, Database Migration Service, Server Migration Service, Snowball, Snowball Edge and Snowmobile. – Developer Tools: AWS services that are designed to enable DevOps to rapidly and safely deliver software. Some of them are CodeStar, CodeCommit, CodeBuild, CodeDeploy, CodePipeline , X-Ray and AWS Command Line interface. – Management Tools: AWS Management Tools for IT administrators, systems administrators, and developers. The major players being CloudWatch, CloudFormation, CloudTrail, Config, OpsWorks, Service Catalog, Trusted Advisor, Managed Services and Personal Health Dashboard. – Security, Identity & Compliance: Security and specifically cloud security at AWS is the highest priority. Team Eternal will help you with Artifact, Certificate Manager, Cloud Directory, CloudHSM, Directory Service, Identity & Access Management (IAM), Inspector, Key Management Service (KMS), Organizations, AWS Shield and Web Application Firewall (WAF). 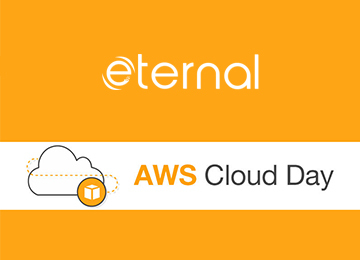 Team Eternal at AWS CLOUD DAY, India’s AWS Conference! Eternal AWS Team attended one of the annual conferences hosted for AWS enthusiasts, veterans….. 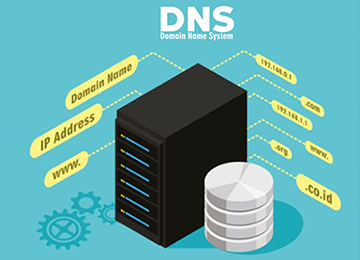 Here, we will see the ports that we need to be configured for WHM to function properly and a…..
We go through the basics regarding what is a domain; what is a DNS Service; the basic require…..